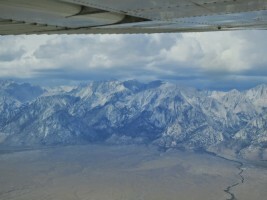 One of the most memorable weekends ever... 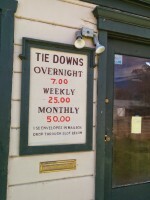 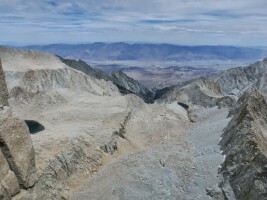 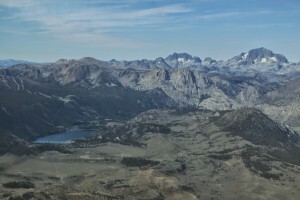 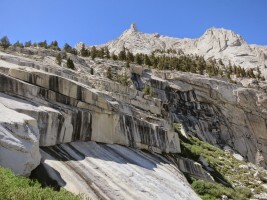 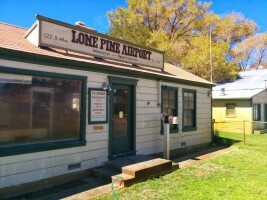 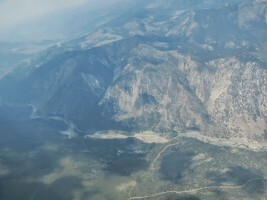 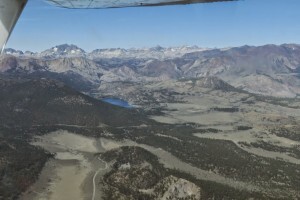 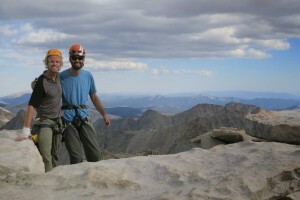 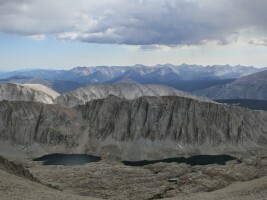 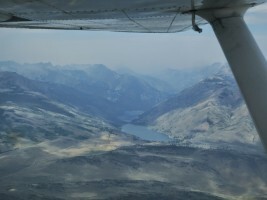 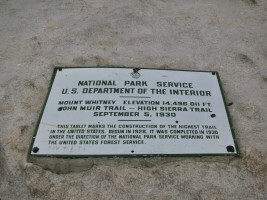 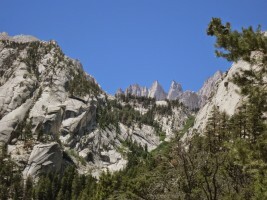 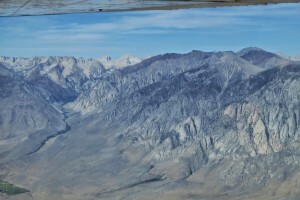 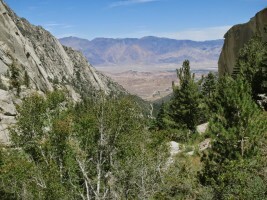 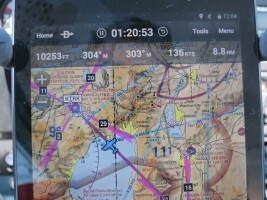 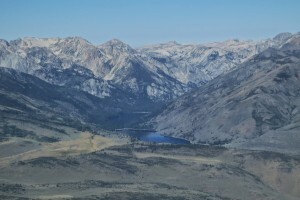 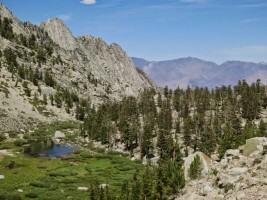 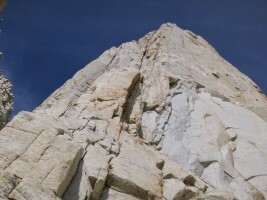 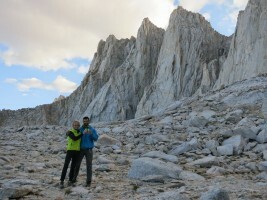 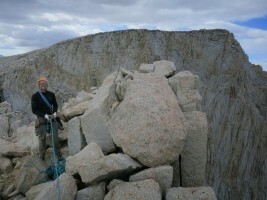 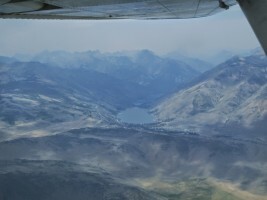 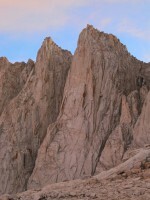 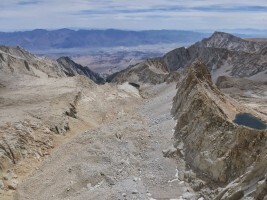 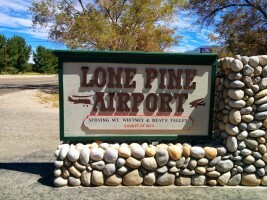 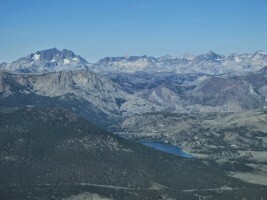 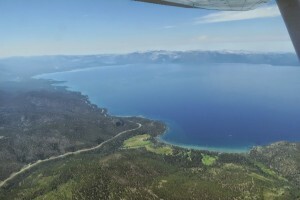 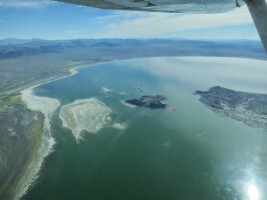 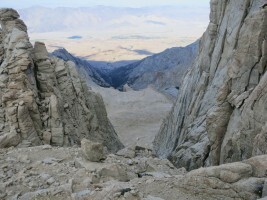 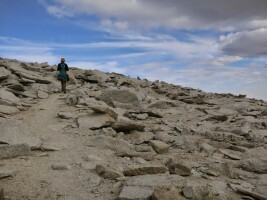 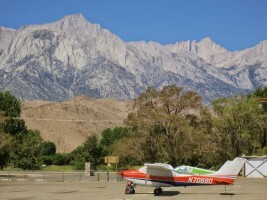 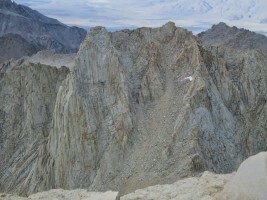 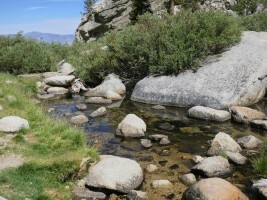 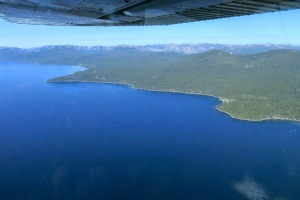 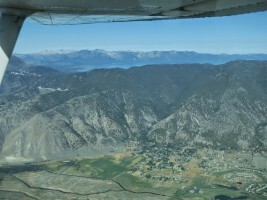 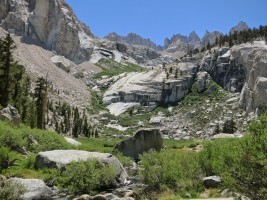 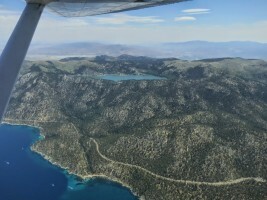 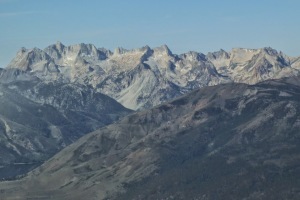 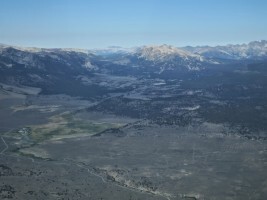 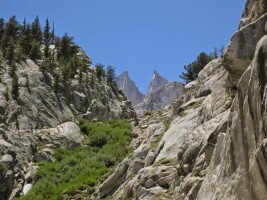 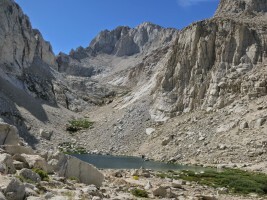 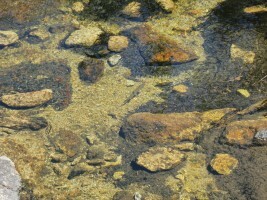 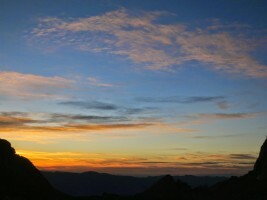 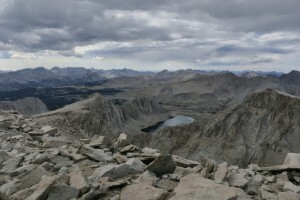 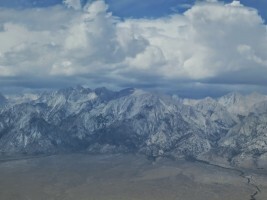 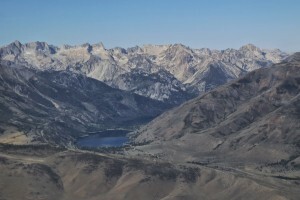 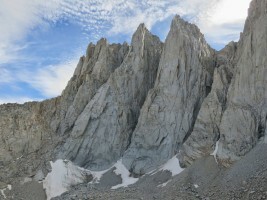 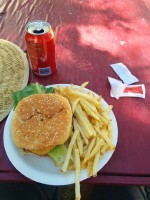 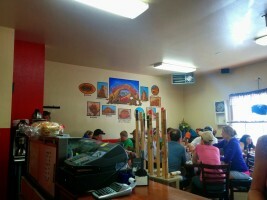 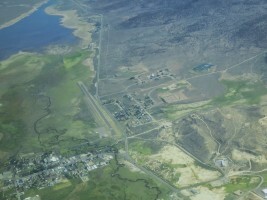 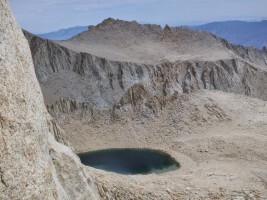 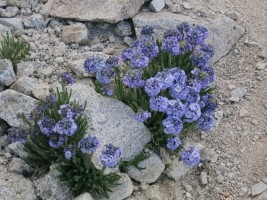 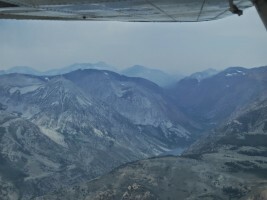 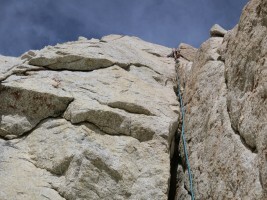 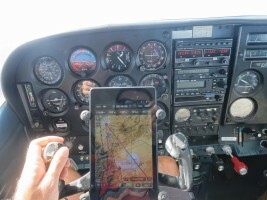 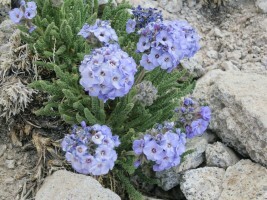 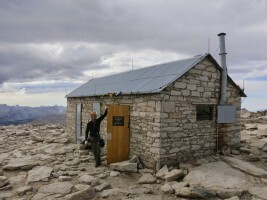 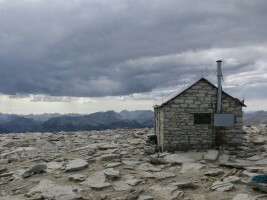 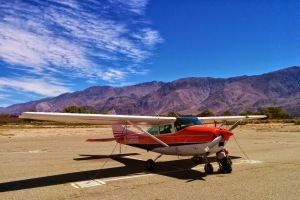 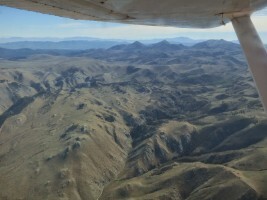 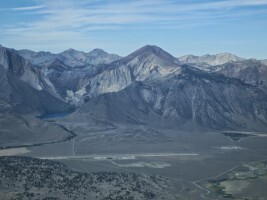 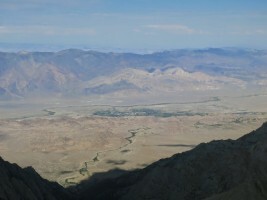 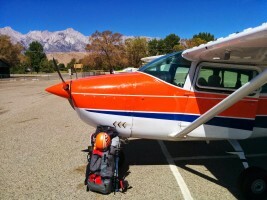 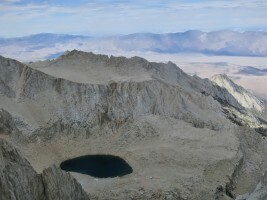 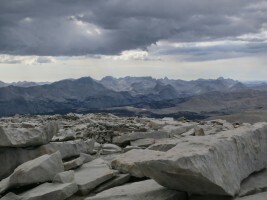 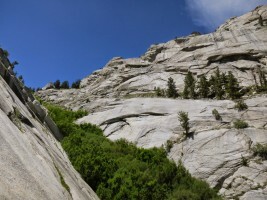 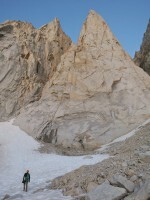 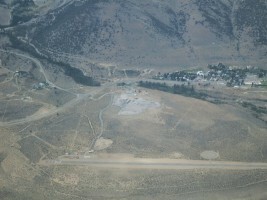 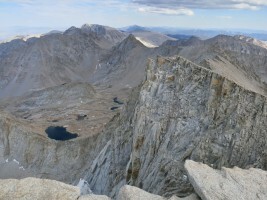 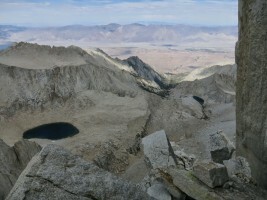 I flew down to Lone Pine (O26) from Truckee and hitch hiked to the Whitney Portal on Friday. 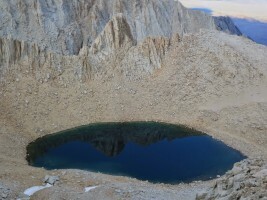 From there, I hiked in to Iceberg Lake where I met Dow, who was already up there for a few days climbing routes on Mt Russell. 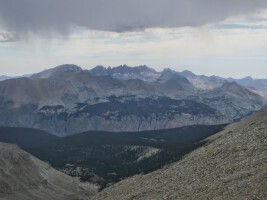 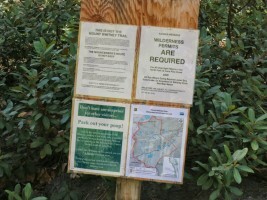 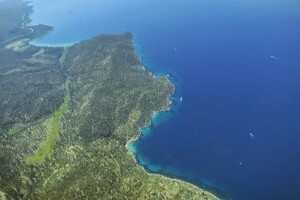 The forecast for Saturday was good, before thunderstorms were forecast for Sunday and the rest of the week. 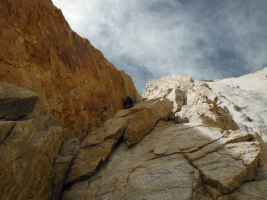 I was in decent cardio shape from mountain biking but climbing-wise, I was pretty much off the couch for 2014. 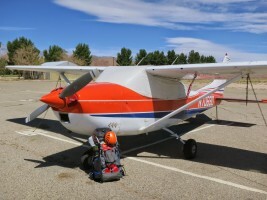 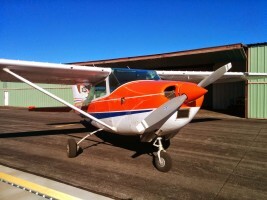 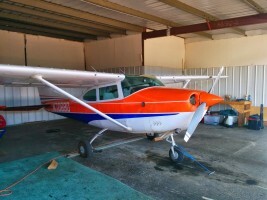 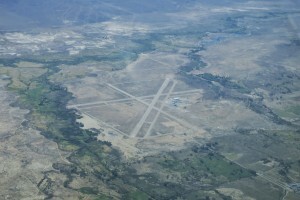 The biggest reason was that for the last several months I was hard at work getting my pilot license, which was a huge mental energy and time commitment. 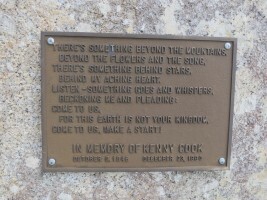 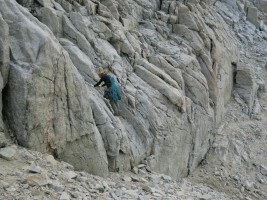 Between that and working full time, it was hard to find the time and desire to climb. 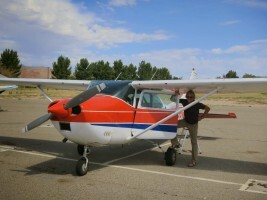 Luckily, I passed my checkride just over a month ago! 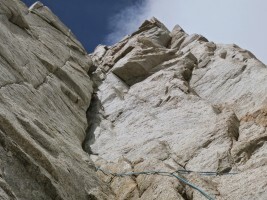 Pitch 3 - really fun steep double cracks through a roof to more steep fun climbing. 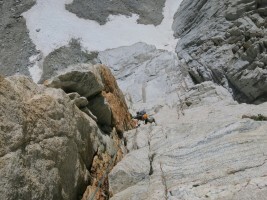 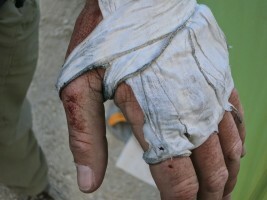 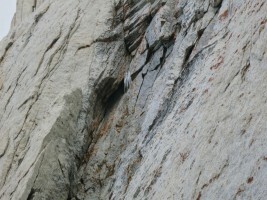 Pitch 7 - the most pleasant pitch of the route, hand jamming in a beautiful corner for the most part. 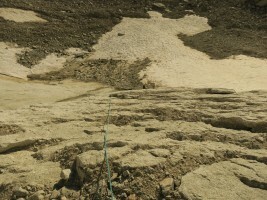 230 feet long! 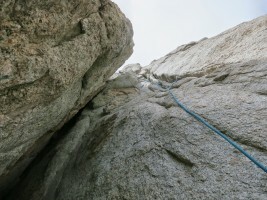 Pitch 8 - the "sustained" OW. 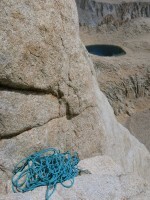 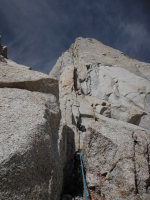 there was a body length of desperate climbing next to the bolts, but it's well protected with small/hand sized gear, and a single #4 at the top. 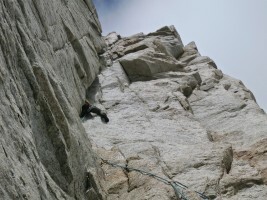 Dow is an offwidth master so he graced up the pitch! 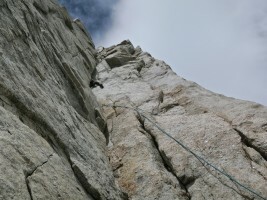 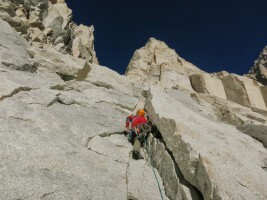 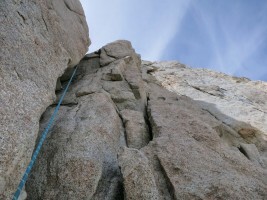 Pitch 9 - go up a crack right of the chimney. 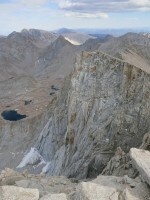 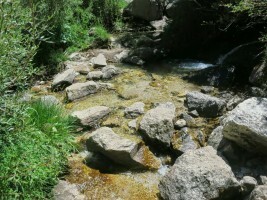 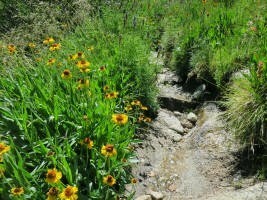 from there, we went left and up, which was the wrong choice, supposedly there is a way to traverse right? 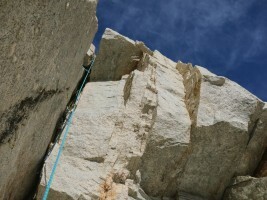 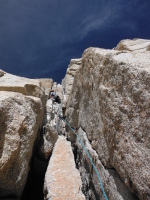 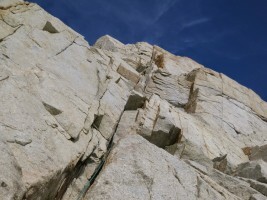 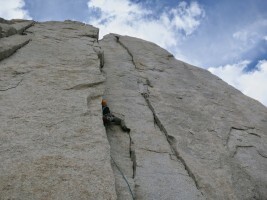 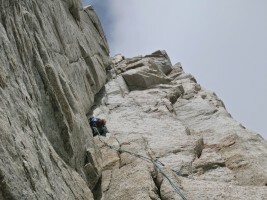 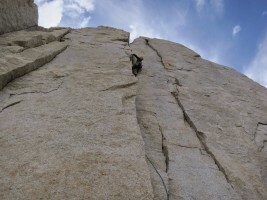 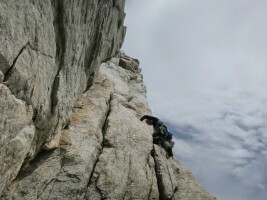 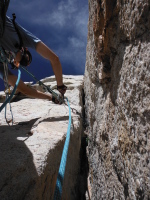 Pitch 10 - we had to do a horizontal traverse with a brief 5.8 section to go around the corner, where you are supposed to be (the final "headwall"
From there, we slogged up to the Mt Whitney summit, and dragged ourselves down the Mountaineers Route (people go up this horrible thing!? 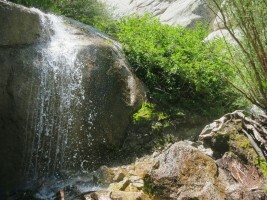 why!?) 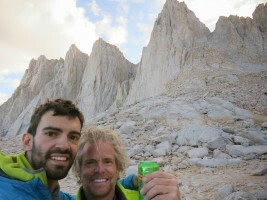 We were back in camp with plenty of daylight to spare, and enjoy our Sierra Nevada beers prior to making dinner. 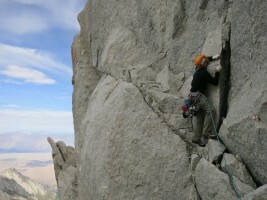 What an awesome adventure of a climb! 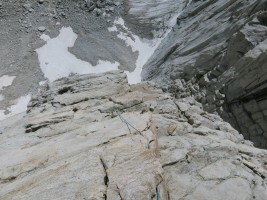 One other interesting piece of beta: we carried too much clothing (I bought an R1 hoody and a nanopuff jacket, one would have been enough), and for the entire climb we were sweating bullets and in fact it made it hard to wear protective clothing through the offwidth... We were both frustrated with how much stuff we brought, as hauling it up there made the climbing harder. 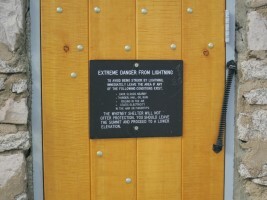 Of course, it is hard to know, and the weather could have been different. 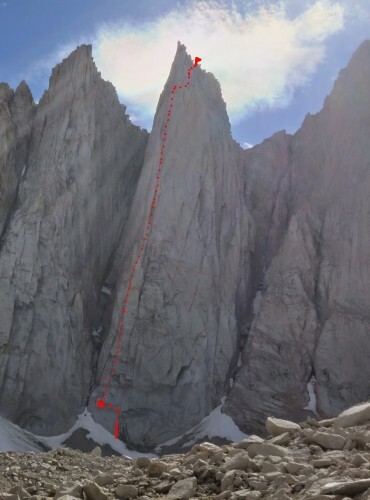 But in mid-summer, the climb stays in the sun until 2-3pm, so with an early start, it's possible to climb without being in the shade (until perhaps the last pitch or two). 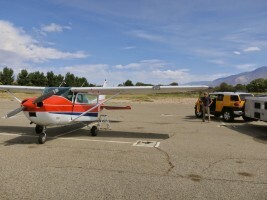 Sunday was another early wake-up, because I was worried about the arriving thunderstorms (part of a big system over the next several days), and flying home. 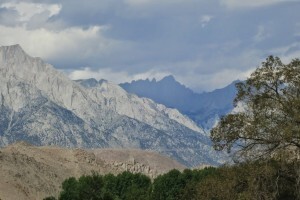 It actually rained a bit in the morning as we were packing up camp... we hustled out of there, and after an awesome breakfast at the Alabama Hills Cafe in town, Dow dropped me off at the airport. 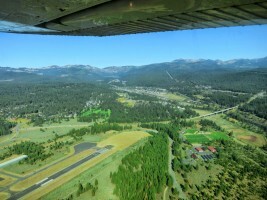 I was home in Truckee just after noon! 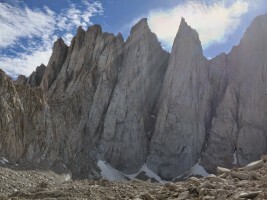 The last gully back to camp Icicle! 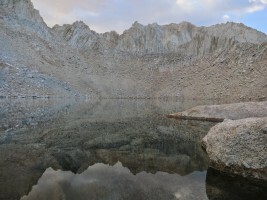 :) Cool reflection in Iceberg Lake. 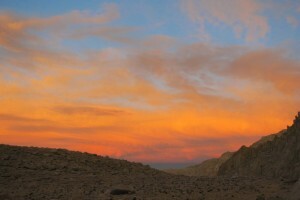 Calm evening before the storm the next day! 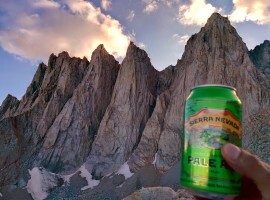 Sierra Nevada beers I carried up there!